The Portuguese West, the region where the Countryside Hotel Spa Quinta dos Machados is located, has an intense light, a mild climate and offers a unique opportunity to experience the sea and the countryside, the rustic and the contemporary. 11 km, a journey of only 15 minutes is enough to get from Mafra to Ericeira, a former fishing village that is the perfect destination for those who enjoy good beaches, terraces, fish and seafood restaurants. There are beaches for everybody: the most popular are the beaches of Foz do Lizandro, S.Lourenço and S. Sebastião. The favorite among surfers is Ribeira d 'Ilhas and among those who prefer smaller beaches, Orelheira is usually the best choice. Mafra is known for it’s stately Palace-monastery, the largest Portuguese building and that has one of the most important Portuguese Libraries with over 36,000 books. On leaving this monument, especially after enjoying the magnificence of it’s chimes consisting of 102 bells, we understand why it is considered one of the Seven Wonders of Portugal. It is worth continuing the journey to Santo André Church, of gothic style and which is one of the most important medieval legacies of the area. Already in Malveira village, 10 km from Mafra, the local market is on Thursdays. This is a place where lovers of antiques meet with collectors of all types of products and the occasional buyers of furniture, footwear tools and birds. To wander by the traders stalls, at the Largo da Feira, is something that has been done since the end of the XVIIIth century, when this fair was instituted. Another point of interest not to be missed in Malveira is the Forte da Feira, part of the military defense system known as the Lines of Torres Vedras, built in the early XIXth century to protect Lisbon from the 3rd Napoleonic invasion. We also recommend a stroll to the Serra do Socorro and a visit to the chapel of Nossa Senhora do Socorro. Staying at the Countryside Hotel Spa Quinta dos Machados and not eating the delicious Pão de Mafra is unthinkable. You can find this local specialty, famous throughout the country in our breakfast. Prepare yourself to not be able to resist the local pastries “Trouxas da Malveira” and the “Pastéis de Feijão e Amêndoa” from Torres Vedras or the "Fradinhos" from Mafra and the “Ouriços” from Ericeira. The natural setting around the Countryside Hotel Spa Quinta dos Machados provides many breathtaking landscapes to those who enjoy walking. The Municipality of Mafra often organizes guided walking tours like the “Trilhos dos Moinhos”. 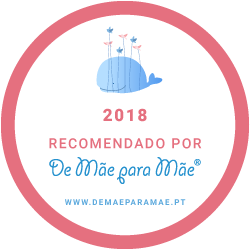 For more autonomous walkers that do not require a guide we recommend the “Rotas do Património”. In Mafra, near the Convent, you will find the Tapada de Mafra. This green space of 800 acres was once a hunting ground of the king and is now open to the public. It offers environmental activities for all ages such as a touring train, horse or donkey rides, hiking or mountain biking. But if you are looking for a really different contact with nature experience why not visit the Center for Iberian Wolf Recovery at Gradil? Guided tours take place twice a day on Saturdays, Sundays and holidays. Ask us the schedule at the reception of Countryside Hotel Spa Quinta dos Machados, we are happy to give you custom activity suggestions!